While a flat IT budget may keep the lights on, those organizations that don’t drive business innovation with aggressive technology spending will find it much harder to keep up. 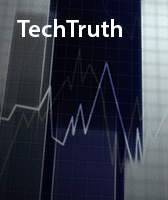 total 2019 IT spending change relative to 2018? Given the high-level initiatives like digital transformation, artificial intelligence, and IoT currently underway, it makes sense that most organizations plan to increase their spending on the technologies that enable these efforts because as the pace of change accelerates, these investments will be critical to remaining competitive. 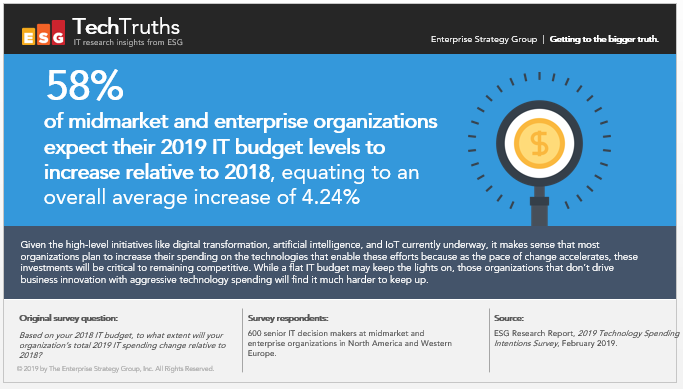 While a flat IT budget may keep the lights on, those organizations that don’t drive business innovation with aggressive technology spending will find it much harder to keep up.